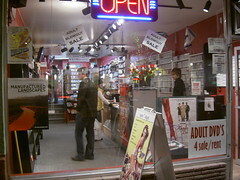 One of the lucky things to live in West End is to have this DVD rental shop. 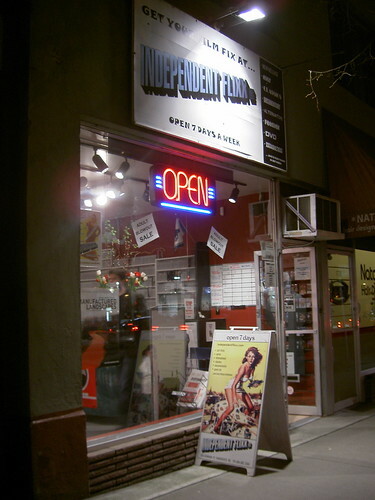 Since this shop is independent they have not only major films but also foreign or minor good quality films. You can see which film is recommended by which shop assistant. They have a box where you can drop a note to request which film you want to watch. 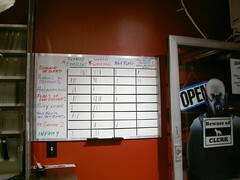 The shop has a board of newly released films reviewed by customers (see below photo). This board became my source for good information. They also have a point card – you get a free rental after 14 rentals. You get double points on Tuesday! I want to thank the shop for always lining up good films. 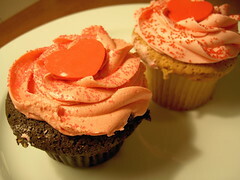 It was a Valentine’s day yesterday. Only girls give chocolates to boys in Japan or Korea but in Canada you give it to each other. My bosses bought a super huge box of chocolates or a flower bouquet to their wives. 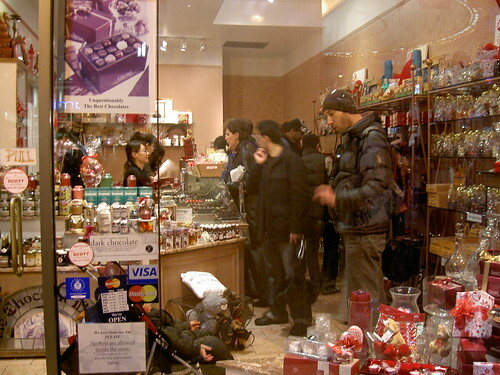 The chocolate shop that I passed on the way home looked very busy. 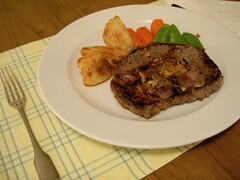 We have a tradition on Valentine’s day that we have steak and red wine for dinner. This year I had orange juice though (T0T).